Exactly one week after Valentine’s Day was celebrated by loving couples in Washington sixty-eight years ago, in February of 1944, citizens would learn of a torrid love triangle between a prominent local criminal lawyer, his young wife, and a noted local psychiatrist that even involved an unwanted brassiere. 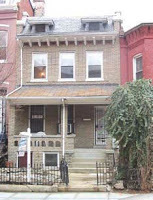 On the afternoon of February 21, patrons exiting the Woodward & Lothrop store at 11th and G Streets would witness a fatal shooting, the tragic result of the age old battle between two men for the affection of the same woman, in this case a love story that would read like fiction in the local and national media. At 1:20 p.m. on February 21, 1944, 42-year-old Mrs. Marguerite Kane Miller exited the Woodward & Lothrop store at 11th and G Streets where she had just returned a brassiere and got into a convertible coupe driven and owned by a widowed psychologist, Dr. John Edward Lind, then age 56. 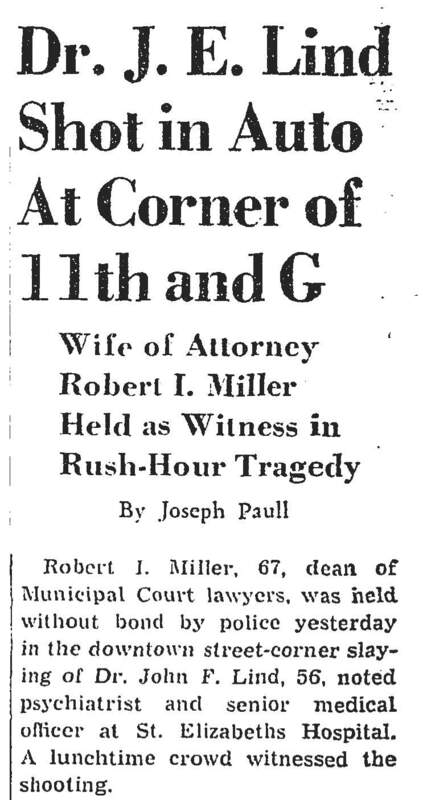 Before she could close her door, however, her husband, 67-year-old Robert I. Miller, dean of the Municipal Court lawyers, leaned into the car and shot Lind twice, once in the chest and once in the temple. He died instantly. A Chief Petty Officer named William L. Stearns and his wife Irene witnessed the event, and reached into the car after the Miller’s fled to turn off the ignition as the car rolled backwards. 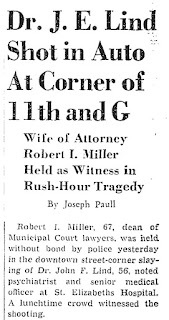 He then ran after and caught Miller, who was arrested along with his wife by a traffic policeman named Ernest Dickerson, who had also witnessed the murder. Dickerson wrestled away a .38 revolver found on Miller, and discovered another .38 pistol in a white envelope on the seat next to Lind’s body. Incredibly, Miller agreed to pose for the gathering newspaper photographers, declaring “I want a dollar for each picture!” and remained remarkably calm, according to local reporters. His wife, on the other hand, was described as near collapse, wearing a blood soaked mink coat and stockings that she would still have on the following day in court. Miller was released on $15,000 bail. Dr. Lind was often called to testify as an expert in insanity cases. Lind had been born in Washington, DC on April 7, 1888; his fourth cousin was Nancy Hanks, mother of Abraham Lincoln. 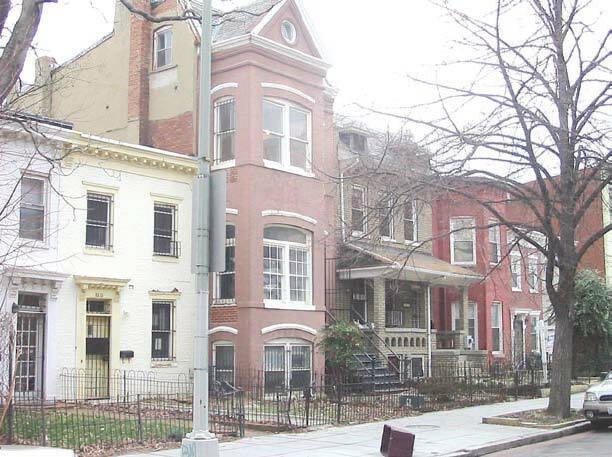 After graduating from Georgetown and George Washington Medical colleges, he married Marie Seewald in 1912, and settled into a residence on the St. Elizabeth’s campus, where he became a widely read expert on the insane. Marie died in 1937. Robert Miller had been on January 27, 1877 in Washington DC, and was known in local legal circles as “Judge, Not Guilty” for having an average of a trial a day for the thirty years he practiced law. He was a graduate of National University in 1914. His wife Marguerite was twenty five years his junior, and had been born in Washington in 1899. 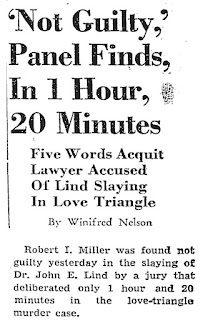 In 1938, Miller was charged and brought to trial for creating a false telegram and submitting it as evidence to aid one of his clients; of which he was acquitted. 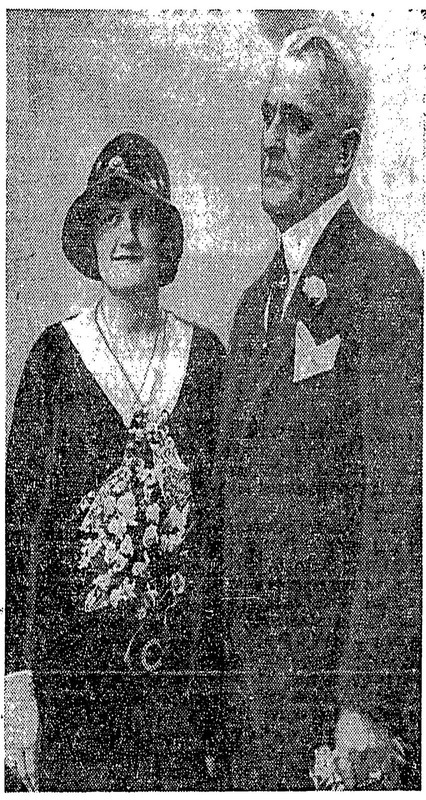 Twenty-five before the sensational murder, the Miller’s had made local headlines in September of 1911 when it was reported that their fox terrier named “Tip” was discovered to have been the thief of $14,000 dollars worth of diamonds that Marguerite kept hidden in a chamois bag under her mattress. Only after police had been called and Robert came home (then at 1310 8th Street) was their dog discovered playing with the empty pouch in the front yard; the diamonds, rings, brooches, and earrings were found scattered throughout the front yard, representing 32 carats in total. A man was hired to watch over the yard until the following day when the diamonds were collected, save two that weighed almost a full carat each. Following the murder in 1944, Washington police were not impressed by Miller's story of self defense, nor swayed by the mysterious envelope-wrapped pistol found in Dr. Lind's sedan. Witnesses at the grand jury hearing held days later on February 24, 1944, said they had seen the jealous husband take a "white object" from his pocket and drop it in the car. The trail was held in Washington beginning May 19, 1944, despite the fact that the defendant knew all the local judges and lawyers well. The witness that stated he saw Miller drop a white envelop into the car was an African-American porter at Woodies, who had been polishing the brass door handles when the murder took place. His testimony was largely disregarded when he mistakenly said he saw a chrome pistol, when in fact the pistol found in the car was black. Mrs. Miller received immunity from testifying against her husband. 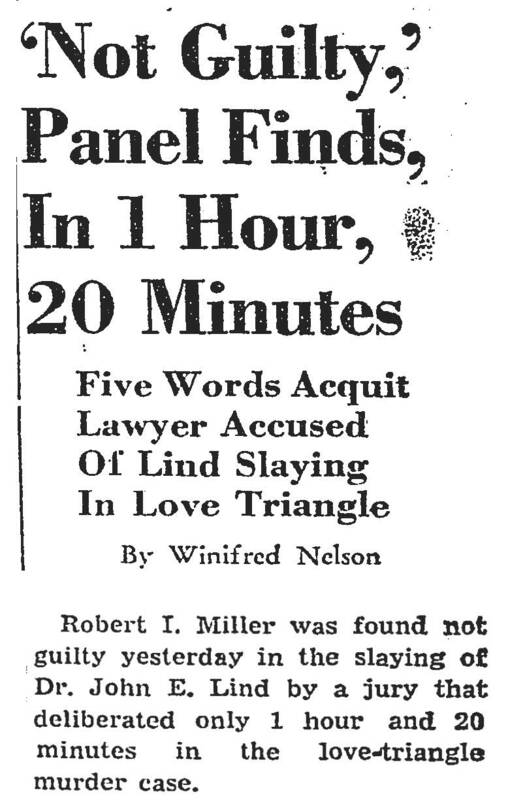 Ironically, Miller’s self defense argument would also emphasize that he was insane at the time of the murder, driven to kill Dr. Lind by a jealous rage. His secretary, Katherine Townsend, testified that Miller has a “sacred candle” in his office that he would light and circle with a rosary, asking God what to do about his wife’s affair. He had learned his wife was to meet Lind on the fateful day during a phone call from their maid. A fingerprint on the white envelope was never identified, and that fact that his secretary had typed out an application for the purchase of a revolver just months before the murder went unchallenged. Not surprisingly, on June 1, 1944, the jury found Miller not guilty after only one hour and twenty minutes of deliberation. Later reports revealed that the jury had found their plea after only ten minutes, but thought it best to wait awhile to avoid the appearance that their decision was already determined before deliberations began.